The exhibition „Before or after or now” resulted from a year-long fruitful cooperation between Čedomir Vasić, the painter and multimedia artist, and the Historical Museum of Serbia. Interested in history and art history, Vasić launches a dialogue with the audience through his works, and creates the ground-work for a different understanding of our and the world’s history. The title of the exhibition, inspired by a line from Borges’ poem Los Enigmas (The Mysteries), indicates the multi-layered and complex conceptual structure of Vasić’s exhibition. Like every backward look into the past, this one also is a sort of resistance to oblivion, disappearance and death, about which Borges wrote. But, while Borges was talking about drinking a forgetfulness of crystalline purity („before or after or when”), Vasić summarizes his year-long research, exploring time, continuity, memory and life itself. Imagining this exhibition as one of the ways of interpreting personal and professional history, Vasić, paraphrasing history, museum display and commodification, reexamines his own artistic status and identity. Confronting the personal and professional, private and public faces, he reveals part of his artistic activities dedicated to moving images from the 1970s until the present day. 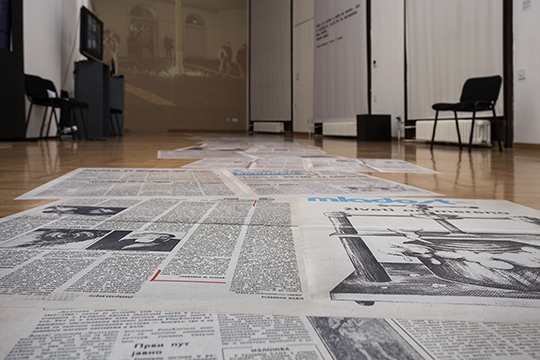 With the exhibition „Before or after or now”, Vasić is openly playing with the institutional mechanisms of public memory, making connections between his personal and artistic history and its possible interpretation, and the concept, symbolism and cultural significance of the museum. 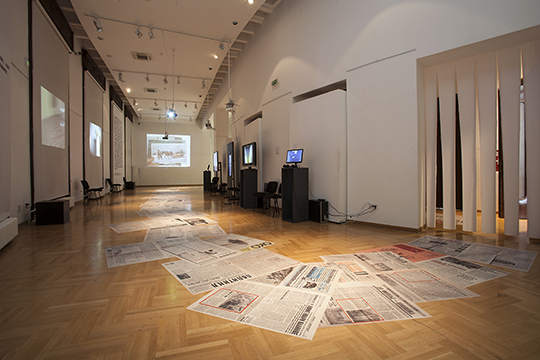 As a logical sequence of his exhibiting policies and artistic practice, the idea emerged that such an exhibition would be realized at the Historical Museum of Serbia, the institution with which the artist has developed an intense professional relationship. Despite the fact that the Museum is not primarily oriented to contemporary art, the historical, symbolic and institutional contexts of the Historical Museum of Serbia have an important role in the reception and interpretative possibilities of Vasić’s artistic work. The ambiguous and complex relationship between art and history, image and memory that Vasić has explored, initially rather affective, but more focused and contextual in later works, forms the conceptual framework of this „view to the past”, one of many possible. Alongside the author, Čedomir Vasić, the exhibition was prepared and coordinated by Katarina Mitrović, M.Sc., and Izabela Martinov Tomović, who designed the display. The exhibition is open until 10 May 2016.